This article is part of Integrator media support for a partnership between the Center for Optimal Integration: Creating Health of the Academic Consortium for Complementary and Alternative Health Care (ACCAHC) and the National Certification Commission for Acupuncture and Oriental Medicine. One goal of the partnership is creation of a publicly accessible tool kit at the Center's www.optimalintegration.com site on strategies for credentialing LAcs and other licensed integrative health and medicine professionals who are new to the regular payment and delivery system. Contributions and ideas welcome. Introduction The business of credentialing a licensed acupuncturist for practice in a hospital or health system can seem like a slam dunk. After all, one can quickly establish through third party verification whether the applicant has: graduated from an academic program with status from a US-Department of Education-recognized accrediting agency; passed relevant licensing or certification tests; holds a license in the appropriate jurisdiction; carries malpractice coverage; and has practice experience. The same quintet of basic requirements can also be easily assessed for massage therapists, and doctors of chiropractic and naturopathic medicine. Yet like so much else in the cross-cultural integration of these practitioners with regular medicine, the road to certification can have more twists and turns than a 16th century Chinese landscape painting. Somewhere in the chasm between Qi/Chi and the RCT the route can take heroic dimensions. Four years ago Richard McKinney, MD contacted me to see if I might offer any guidance. As an Integrator reader, he knew I'd reported from medical organization colleagues with experience in the area. I'd also helped build networks of credentialed practitioners for insurers and HMOs in Washington state's robust coverage environment for integrative practitioner in the late-1990s. McKinney, who is known to many for having co-founded the influential Integrative Medicine for the Underserved (IM4US), wished to offer services of licensed acupuncturists to patients at San Francisco General Hospital (SFGH), that areas major public health hospital, where he worked. I offered what I could. In retrospect, my ideas mainly helped to propel McKinney further into the deep-end of the challenging currents of his cross-cultural campaign. By the time the deed was done, four years later, meaningful players on the journey included a key SFGH champion, the Affordable Care Act, the Joint Commission, the UCSF Osher Center, and the very spirit of the times in which McKinney made the recommendation. Four months ago McKinney called to let me know that he finally had a credentialed acupuncturist. As of late July 2015, three licensed acupuncturists are formally credentialed at SFGH and one more was in process. The especially good news, as McKinney learned along the way, is that he has not only opened doors to SFGH. His work with colleagues has also created a potential door opening in all of the county-wide San Francisco Department of Public Health. The following information is based on interviews with McKinney and with Hali Hammer, MD, to whom McKinney introduced me. When the process began, Hammer was the medical director of the family health center at SFGH. At the time of the interview in early July 2015, Hammer was director of primary care for the San Francisco Department of Public Health, overseeing not only the FHC at SDFGH but all of the primary care clinics in the county system. Hammer shared that when she got involved with McKinney on the effort, she was "already a proponent of integrative medicine." She had no concerns for patient safety "as long as all providers went through our usual credentialing process." Each had an opportunity to review the content below for fact and tone (and while not necessarily fully aligned with the latter, find it acceptable). Here's hoping their experience is useful. McKinney's work began in 2011. He laughs, now, on recalling that "three times I announced a start date and was knocked down." Whenever possible, McKinney suggests that advocates of bringing in unconventional integrative care "don't ask permission, ask forgiveness," but that wasn't going to fly for acupuncture. In his view, "if it is possible to begin to somehow deliver services ‘under the radar', do it." He adds: "Positive results will build support for the program." In fact, some acupuncturists, and acupuncture students, were already providing acupuncture services in sites in the San Francisco Department of Public Health System prior to McKinney's work. None, however, were credentialed. Hammer makes it clear that in her role as Chief of Service, she disagrees with McKinney's "under the radar" recommendation. She offers that stability and sustainability of the program demand real credentialing. For instance, the under-the-radar strategy he first tried was "only possible if the services are donated." For McKinney and SFGH, this was possible because he had a plan to bring in the acupuncture services uncompensated. A relationship with nearby American College of Traditional Chinese Medicine (ACTCM), an institution already connected to some of the non-formal acupuncture services, facilitated this. ACTCM's mission is to enhance and expand clinical instruction of its students. For ACTCM, this is particularly so for the already licensed, post-graduate participants in ACTCM's integration-focused Doctor of Acupuncture and Oriental Medicine program. These arrangements have a win-win-win character that has brought services to literally hundreds of thousands of patients across the country through dozens of delivery institution/'CAM school" relationships: the college serves its students, students gain medical organization-based experience, and typically underfunded medical centers, clinics and their clientele gain free access services to acupuncture and other integrative health and medicine services. McKinley recalls his earliest foray: "I was told (by an SFGH administrator) that we can have an acupuncturist as long as we don't call it credentialing and don't go through the credentialing committee." The strategy was connected to a different level of provider inclusion in the SFGH system: "I hoped that I could do it by inventing a process of ‘authorization' similar to that used for the ‘ancillary practitioners'. For a long while it looked like that was going to fly." McKinney describes his approach: "I took the credentialing form [used for MDs and other members of the active medical staff ] and revised it to be appropriate for LAcs. An assistant administrator at the hospital liked the approach." At the time, McKinney also secured executive level support for this strategy. In fact, recalls McKinney, the SFGH credentialing committee "never stopped me." He surmises: "They were content with ‘authorization'" as the means of bringing in licensed acupuncturists." However, challenges came with "other administrators in other parts of the system who were not" happy with this approach. Someone, McKinney recalls, felt that approval of the hospital's Privacy Committee was needed, since these relatively unknown type of practitioner would have access to medical records: "At the Privacy Committee meeting one person demonstrated their lack of understanding rather succinctly by asking: 'Why would an acupuncturist even need to look at a patient's record?'" This was one of the ways the cross-cultural chasm was demonstrated. McKinney shares that at other times there were some in authority who put up barriers out of simple opposition to bringing in this type of care. What is a TCM practice? What does California law allow? For what defined purposes might the practitioners be useful at SFGH? What processes were then appropriate for internally regulating their participation? According to McKinney, his work got two boosts through his and SFGH's relationship with the University of California at San Francisco School of Medicine and particularly via the UCSF Osher Center for Integrative Medicine. He shares that in 2013, the Joint Commission, the agency that accredits most hospitals around the country, "wrote up UCSF for having a licensed acupuncturist without credentialing." He adds: "They corrected that within 90 days." Any uncertainty about whether licensed acupuncturists could fit into the "ancillary" category for SFGH's practitioner credentialing scheme had been settled from on high. "This," McKinney states, "became a part of the motivation across town at SFGH." McKinney also credited the "terrific support" from UCSF Osher Center's Maria Chao, DrPh, MPA and one of Chao's students, Unity Nguyen, LAc (and now MD) who is now a resident at a Family Medicine program in Hilo, Hawaii. These were collaborating with McKinney on a chronic pain pilot linking acupuncture visits with brief medical doctor visits. The two helped connect the players. Chao was not only with Osher. 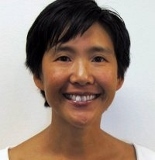 She was also a faculty member in the SFGH Division of General Internal Medicine with acupuncture-focused research plus a board position, at the time, at ACTCM. Inter-institutional and intercultural ties were facilitated. Ultimately, the on-the-radar approach to inclusion of licensed acupuncturists (LAcs) at SFGH meant a bylaw change for the hospital, approved by the SFGH board of directors, that called for credentialing of this category of practitioners as an Affiliated Profession. The action in this context also required engaging an additional layer of complexity. 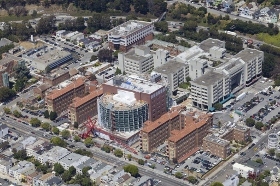 Because of SFGH's place in the broader San Francisco Department of Public Health, any move at SFGH involved the whole county system and its multiple locations. This led to an unintended consequence of the formal credentialing when it arrived. Before that time, as noted, "numerous licensed acupuncturists were working in various clinics in the system, typically as volunteers," says McKinney. He notes that when the credentialing went through, "those who were in the system already needed to stop practice until they were credentialed." The relevant bylaws were finally amended to include acupuncturists in the late fall of 2014. Shortly thereafter, the first practitioners were credentialed, in early 2015. This final step required putting dimensions on just what an acupuncture and Oriental medicine practitioner could do in SFGH and surrounding network. Essentially, this required a memorandum of understanding on what was possible. Revealed McKinney: "The credentialing (finally established) is for outpatient care and for inpatient for hospice patients." He views the inclusion of hospital involvement as "a strategy for opening more inpatient care." McKinney adds that he has "come to understand the approach and the basis of what the hospital is concerned about." He ticks off as the "principle concerns" for hospitals: competency, confidentiality, accountability, professionalism and liability. He adds than he believes that moving out of the limitations of only providing free services in "under the radar" model is important in the long run for another reason: "financial sustainability" of integrative services. McKinney then offers a next step in strategic inclusion. He urges integrators of acupuncturists to start out with programs focused on groups where you can expect to achieve impressive results. This, he says, will help to build momentum and support for the program. The new Integrative Health Service at SFGH, which McKinney directs, is now launching an initial pilot program for patients with chronic pain. Given the limitations of the four month one evening per week program, he's restricted it to patients who have experienced chronic pain "for less than six years", convinced that members of this group will more often respond than those with a 15 or 20 year history. . The following fell out as critical success factors for the UCSF process. Strong physician champions in both McKinney and Hammer, who stuck with this through multiple efforts. The fact that acupuncture is "an (incredibly) low-risk procedure." The Affordable Care Act and the inclusion of acupuncture in California's essential benefits package. Hammer said this was particularly helpful for more resistant parties. Prior credentialing by UCSF. The fact that there was a program at the University of California San Francisco Osher Center that credentialed acupuncturists made a difference. The fact that the Joint Commission wrote up UCSF for not formally credentialing this provider category. General trends: key administrators began to realize including acupuncturists was "the wave of the future." The medical doctors each salute the roles the other played. Hammer said of McKinney: "Rick has a lot of insight about how much time he spent spinning his wheels before we got to the tipping point that this was going to fly. He kept running into barriers." McKinney's blunt appraisal of Hammer's contribution was credentialing might have never gone through "if it wasn't for Hali." To him, the willingness of the Chief of Medical Services to champion the change was critical to the success. In new areas, different people will have differing views. Hammer notes that "when breaking new ground in areas having to do with regulatory oversight, different individual will have different interpretations, which can be confusing and time-confusing in order to get consensus on what is required." The obstacles can be not via opposition as much as a natural human process of coming to agreement across diverse initial understandings. Present the trend toward inclusion and any evidence of local systems already credentialing. That there was momentum nationally, that the state had a new level of inclusion in essential benefits, and that a respected nearby system (UCSF) had already credentialing were all factors. Review the organizations bylaws to determine where the profession fits. In this case, inclusion of acupuncturists as Affiliated Professionals required a change in the hospital bylaws, thus action by the SFGH Governing Body. Know the full chain of command in the facility where you are interested. In the SFGH case, while the immediate interest was to place licensed acupuncturists into a single clinic at SFGH, the hospital's credentialing processes are actually linked to the city/county San Francisco Department of Public Health. Thus the locus of the decision was not the clinic, nor the hospital, but to a SFGH governing body. Decisions also required review from the SF city attorney. Collateral positive outcomes: Success opened the doors to potential credentialing in any of the multiple sites in SFGH and throughout the city/county public health system. Collateral challenge: With the new rule, all of the licensed acupuncturists operating anywhere in the city/county system "under the radar" in clinics where they were providing uncompensated services as "ancillary" providers needed to be credentialed. Scope of practice needs to be set. Even with credentialing, a document describing standard protocols was required to define the scope of practice within the setting. In the SFGH case, the protocols were developed in about 2012 and modeled after those for LAcs from UCSF. What are best standardized procedures for a licensed acupuncturist? Finally, while the two MD leaders have some differences on means, they don't disagree on ends. McKinney believes that those seeking to offer unconventional integrative services can create a more receptive environment through the under-the-radar strategy of "don't ask permission, ask forgiveness." This is especially so when those services can be delivered by already credentialed providers. He argues that when it is possible to begin to deliver services under less stable, under-the-radar methods that generate positive results, this can "build support for (eventually creating a more formal) program." But it is unclear in his view that this influenced the path for LAcs at SFGH. Hammer is quite clear however that as chief of service, she disagrees with this strategy. Yet both agree that if the desired end is stability and sustainability, reaching the ultimate goal of providing regular acupuncture services to your clientele via licensed acupuncturists, they agree that "you will never be secure without proper permissions." Perhaps, in time, instead of being credentialed just to use some of their clinical tools - in particular their needles - for specific populations and specific clinical environments, the licensed practitioner of acupuncture and Oriental medicine can ultimately be privileged as part of medical teams to work at the top of their licenses at their full scope of practice.